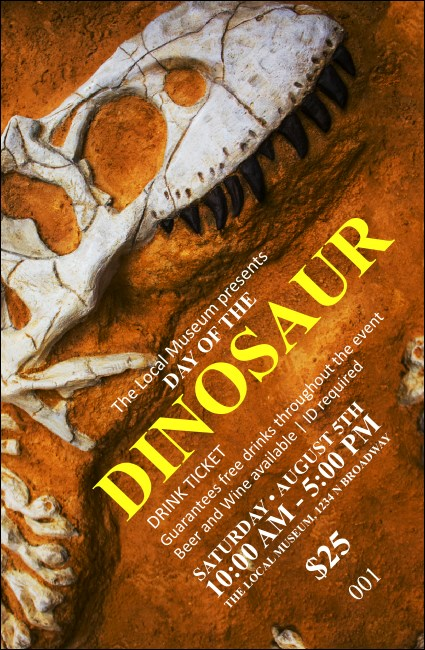 Complete your earthy educational event package when you order the Dinosaur Drink Ticket. This fossil design, which coordinates with the Dinosaur Event Kit, helps the service staff at your museum or school stay organized. Students, teachers, and paleontologists will dig the dino design!